Turn your IPod or MP3 player into a modern boom box. 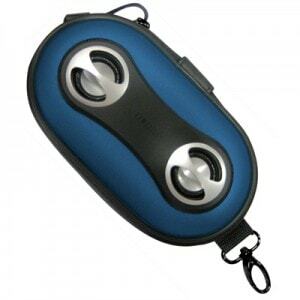 The HMDX speaker case is a durable way to protect your player and share your favorite tunes. Just plug your player in and it sits nicely inside the slim case. 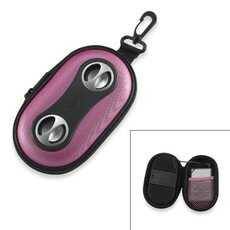 Cases come in fun colors and can also attach to your belt and bag. Available at most Bed Bath and Beyond and Sears locations, you can find them for less than $10! Learn more at www.hmdxaudio.com. A sample was provided for this review.